Point to Point Home Services of Callao, VA, earns second-year accreditation from the NHWA! Point to Point Home Services of Callao, Virginia, has earned Accredited Member status from the NHWA for the second year. If you’re lucky enough to own a home in the Northern Neck of Virginia and you spend long periods of time away from there, you need to know about Point to Point Home Services and its owners, Karen and Jim Burch. 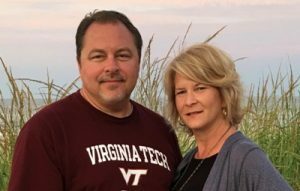 Because they owned a second home there for more than 10 years while living in Northern Virginia, Jim and Karen discovered the value of having someone to keep an eye on things and lend a hand when needed. 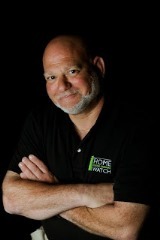 Since they couldn’t find anyone reliable and insured to do that for them, Jim and Karen filled the need by creating a comprehensive Home Watch business to service second homeowners like themselves in the Northern Neck and Middle Peninsula of Virginia. Point to Point Home Services’ goal is to make sure that all the things that Karen and Jim needed done, get done. When they would leave their place on the Northern Neck to go back to their primary residence, one of them would invariably look at the other and ask, “Did you turn off the light?”, “Did you unplug the coffeemaker?”, or “Did you tie down the boat?” Jim and Karen knew they couldn’t be the only people asking themselves these questions. So, it’s their goal to give their clients the peace of mind that they needed, knowing that everything at their vacation home was just fine. Karen and Jim have family in the Northern Neck, and both have previously worked in real estate. Karen has also worked as a real estate settlement and title insurance agent. Both have run successful businesses and worked in other professions before opening Point to Point Home Services. Karen and Jim have two children, with their youngest attending Virginia Tech and their eldest attending Rappahannock Community College in Warsaw. Point to Point Home Services serves Westmoreland, Northumberland, Richmond, Essex, Lancaster, Middlesex, and Gloucester Counties, encompassing the Northern Neck and the Middle Peninsula. You can reach them at (804) 529-3714 or at info@PointtoPointHomeServices.com. Learn more at www.PointtoPointHomeServices.com.